Get rid of stubborn creases easily with the Russell Hobbs 20330 steam generator iron which features a specially shaped ceramic soleplate allowing you to glide perfectly even under buttons. With 2800 watts of power and a super quick 1 minute 30 seconds heat up time ironing will be a breeze. With a 1.2 litre water tank that allows swift top ups of water to help you get the iron done faster. The clever lock handle system makes lifting and carrying easier than ever, a patented pump and mains cord storage with plug locator and cord control keeps the mains lead of the steam iron neat and tidy ready for the next time. Being one complete unit the Russell Hobbs Steam iron can be stored away neatly and in one place. 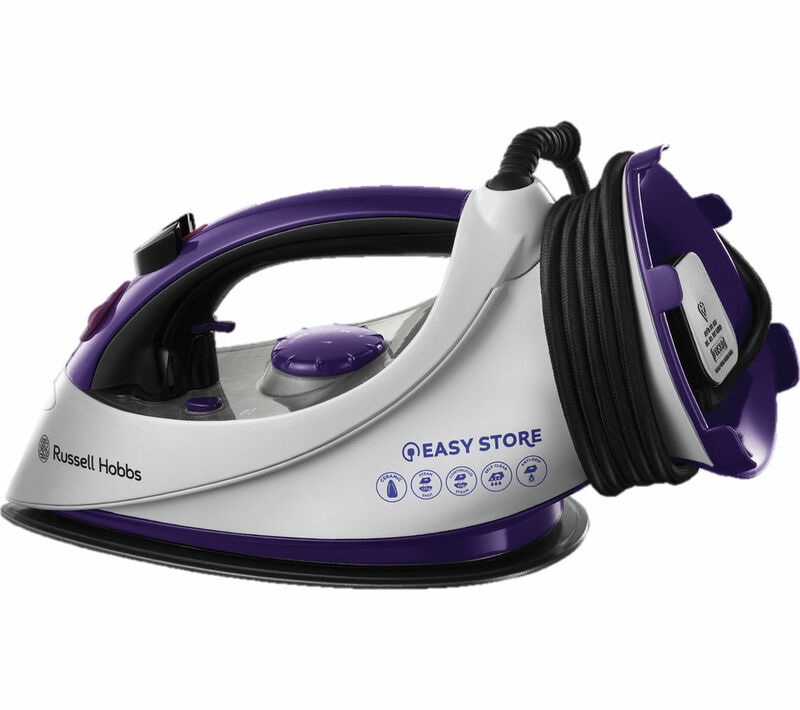 The Russell Hobbs 20581 steam generator iron has been designed to offer a maximum result all with little amount of effort. 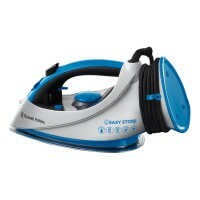 The iron comes with 2800 watts and features a steam output of 130g/min. The iron will be able to allow even the most stubborn of creases to be eliminated. Other steam features include the fact that steam availability is available within 2 minutes and a steam ready indicator. The iron comes with a power cord length of 1.8m and there is also an easy hose storage clip which will allow you to store the cable neatly. With a non-slip heel rest and the 20581 is both practical and proficient. 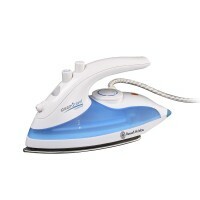 The Russell Hobbs 21570 Steam-glide Iron is styled in a fresh White colour and boasts 2400W of power. 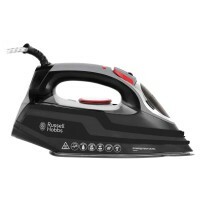 Its stainless steel soleplate will effortlessly glide over fabrics, cutting down on your iron time. Featuring variable temperature and steam settings, Plus a powerful 35g/min continuous steam output and 110g shot of steam for easier ironing. 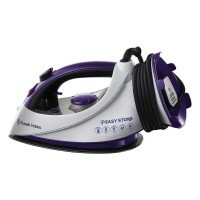 A capacious 300ml water tank means more time steaming, less time filling up and another time saving feature is the irons powerful vertical steaming facility, ideal for removing wrinkles from furnishing fabrics, curtains and from hanging clothes quickly and easily, without having to take them down. The 2 metre cord cable includes a 360 degree swivel cord guard for added convenience.